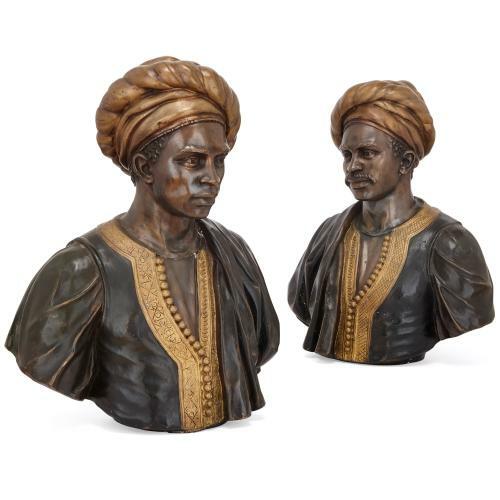 These decorative busts are finely cast in metal and have been partially gilded, giving the sculptures a pleasing finish with subtle differences in tone and colour. 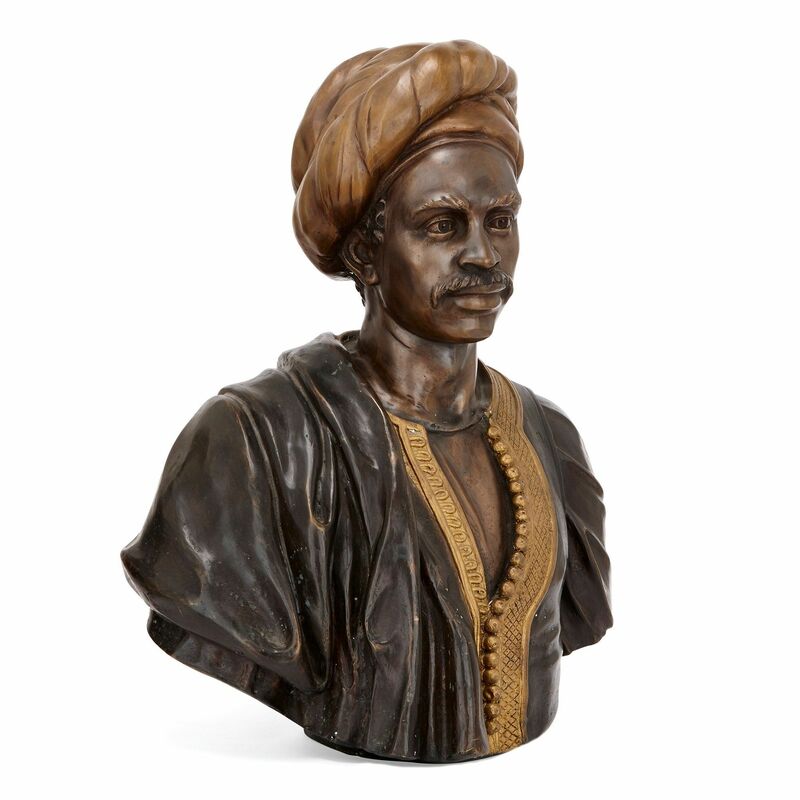 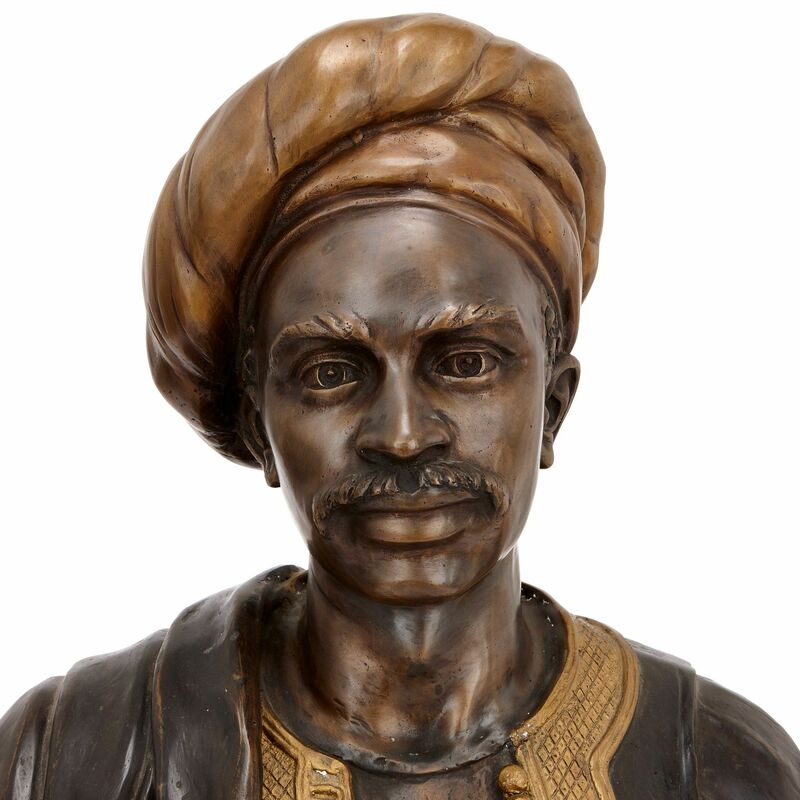 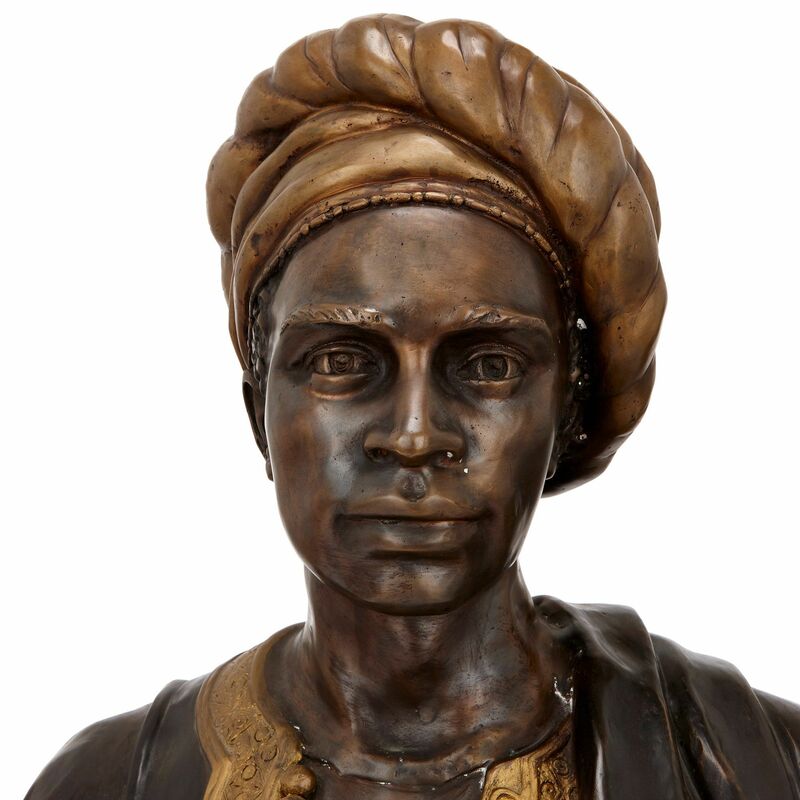 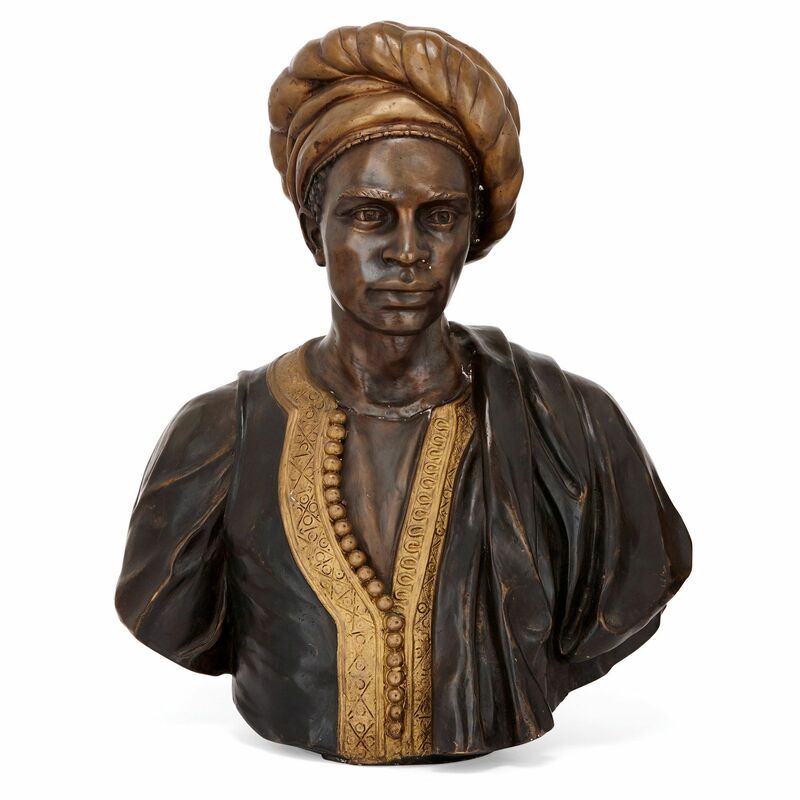 The busts are cast in metal, which has been blackened, and depict two North African or Middle Eastern male figures, wearing traditional clothing and headgear. 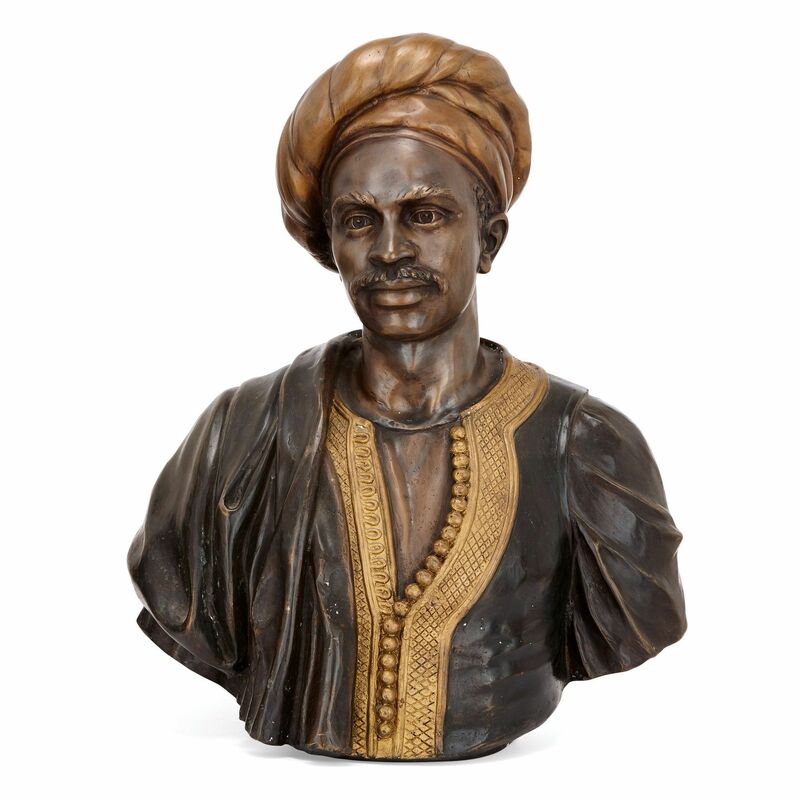 One of the busts has a moustache and the other is clean shaven. 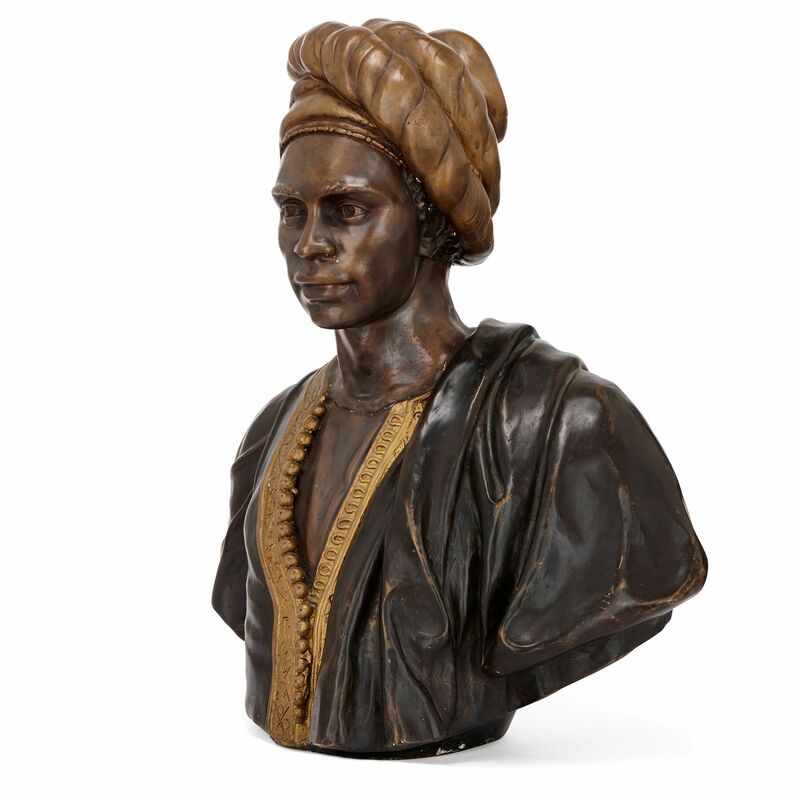 Both figures have gilded and engraved decorations around the seams of their clothing and their headgear.